Cam’s fatigue is increasing every day as the air gets thinner and the weather even colder. We always knew the hardest bit would be towards the end of Ride the Long White Cloud, but at least the end is within reach. 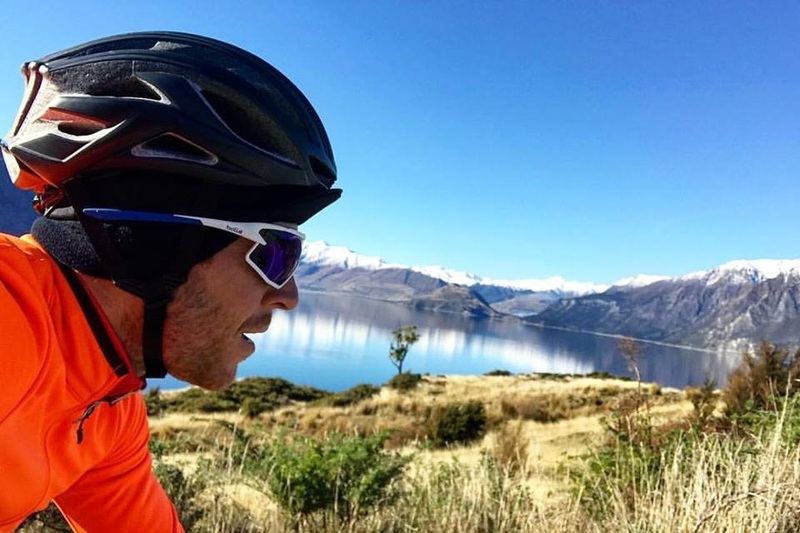 270 kilometres to go until he reaches Bluff at the very bottom of the South Island. Today I rode from Paringa to Wanaka, 180 km and lots of climbing on coarse roads. Alice dropped me back at the location I finished at the day prior. As we drove into the hills before dawn, the road was glistening off the car headlights. Finally, I would start my day confronting some “black ice” on the road. When Alice dropped me off it was -4 degrees. In Haast where we stayed the night the temp was -1, but we had gone into the woods. With no phone reception I couldn’t gauge temperature when exiting the car, but I could tell it was super cold. The black ice crunches under your tyres and it’s a scary proposition on a windy downhill road, but I stayed careful. Forty kilometres into the ride I found myself back in Haast. A howling cross head wind was blowing across the valley, coming off the snowy mountains. It was so strong it was blowing me into the centre of the road, and the wind itself was incredibly cold. My face was partially frozen when I finally made my way to some sheltered road. I still had a slight head wind but it wasn’t tearing my face off. I then proceeded to Haast Pass. While the sun was out, it was very cold. -5 I found out later today. The sun would hit my back in parts and then the mountain would block it for long stretches. Boy did I enjoy those little sunny stretches. I struggled over the Haast Climb, it seemed a lot less steep than it felt, or was that my fatigue? After getting over the Pass I made my way through some more incredible scenery. In-your-face snow capped mountains and crystal lakes played a big part in my afternoon. While the cold, thin air has been making me more fatigued, the scenery has been giving me energy. Today, I thought a lot about my mum. She’s a big reason I’m doing this. 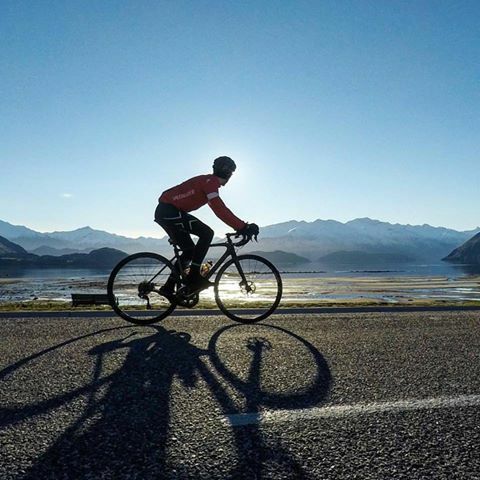 Not because she wanted me to ride the full length of New Zealand – in fact, I think I’ve given her some sleepless nights – but because she’s the reason I’m half Kiwi. Throughout my life she has told me countless stories about the beauty of New Zealand. I’ve never been so blown away by Mother Nature as when I rolled into Wanaka this afternoon. Today, I felt like I became closer with my mother, Christine. Now, I truly get what she’s been taking about. I understand her mother land and I now feel more connected to it. What’s all this hard work for?